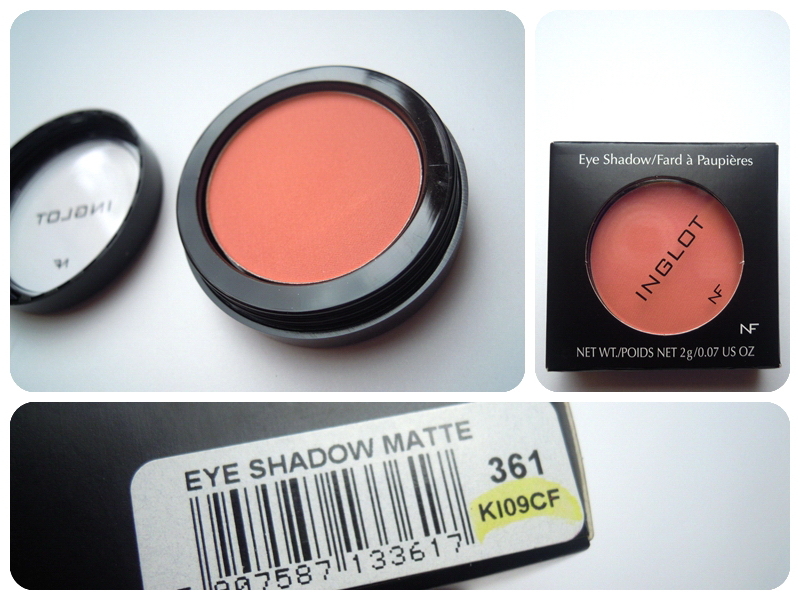 So this is another part of my NYC haul :) Inglot eyeshadows, yay! I've been wanting to try these for a long time, but like many awesome brands they're not available here. I didn't even remember looking fot Inglot while I was there until I randomly stumbled across a store (right across the street from the back entrance of the m&m store on times sqare) and I got soo excited! My friends went to ..idk some clothing store and I spent that time being amazed by the awesome collection and system! It's called the Freedom System and you really do have a LOT of options! First you choose your palette. 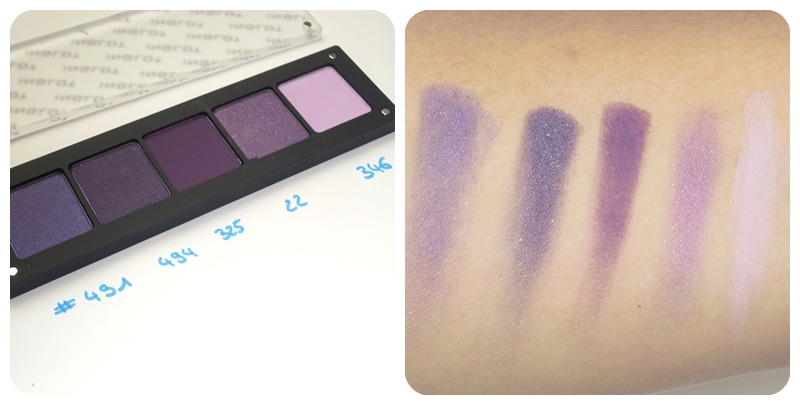 I picked this one which fits 5 eyeshadows. There were some other ones for only 3 shadows, or 2 and a blush, or 10.. I don't remember them all but they sure had something for everybody. I think this palette was 11$ and then 5$ for each shadow. The cool thing is that the entire system works with magnets. The shadows are held in magnetically and the lid of the palette is also held by magnets. So fun! There's a LOT of different colors and absolutely all of them were amazing! I remember this matte bright yellow which had the most unbelievable color payoff ever.. it was absolutely impossible to decide which colors to buy, but I wanted a palette where all the colors go together and settled on purple because I don't have that many shadows in that hue. Unfortunately the shadows at Inglot don't have names. The ones I picked are the numbers 491, 494, 325, 22 & 346. They all have pretty good color payoff, especially 494 which is super intense! The other ones don't swatch super well but they work great when you apply them with a brush over a base. I was actually pretty content with my palette and didn't want to spend any more money, but.. you know how it is :D I saw this gorgeous peach eyeshadow and I've been looking for one like this anyway so I decided to take it as well. This was 12$ and the pot is pretty big. The color is 361 and this has a matte finish (love!). I really really love this eyeshadow! It's so perfect for summer time. It's fresh and happy :D I've also used it as blush a couple of times which works great. 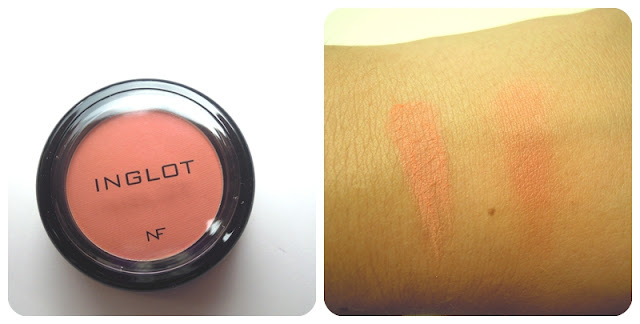 It is very pigmented and has a lovely silky texture. So what do you think? 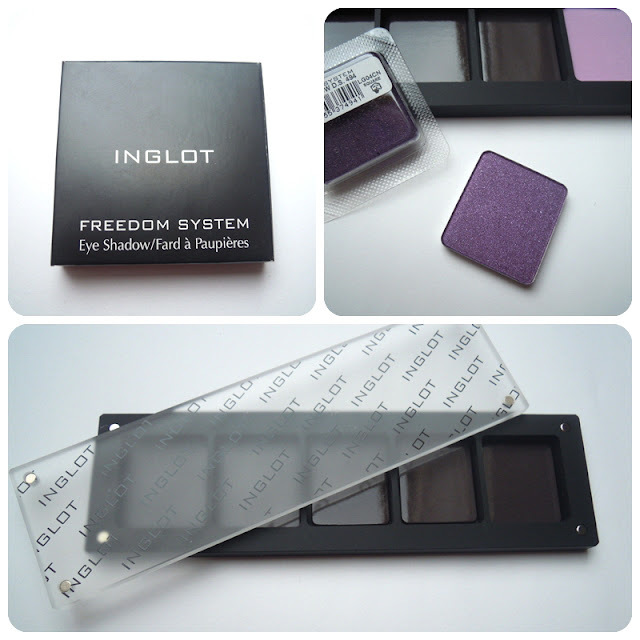 Have you tried Inglot? Or is it even available where you live? PS: Sorry the lighting in these photos is different in each one! I'm working on building a better set-up.. I'd love to get my hands on a few of those famous Inglot eyeshadows. Wanted to in Amsterdam, but the store was closed. Grr.